Do you feel like you've tried everything and things are the same or worse? Discover freedom from depression, anxiety, addiction, abuse & more. Call or Text 614-354-6962 for Columbus, Ohio's Restore Counseling. 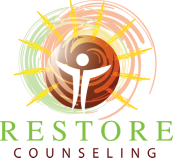 How Can Restore Counseling Help You? Counseling gives you the opportunity to see yourself, your relationships, and your life with renewed perspective as you process through difficult emotions, learn new skills and become a healthier and happier person. You can look forward to feeling better about yourself and your life. Now accepting Medical Mutual, Aetna, United Healthcare, Medicare, PHCS, HSA, and Sliding Fee Rates as low as $75 / session.